Apomorphine subcutaneous infusion is an effective treatment for Parkinson patients whose motor fluctuations are poorly controlled by conventional therapies. Constant infusion of a drug now used intermittently to "rescue" patients with Parkinson's from bouts of immobility may also help avoid these debilitating symptoms and smooth out their movement throughout the day, physician-scientists say. A recent study, led by Ryan P. Duncan of Washington University at St. Louis, suggested patients with Parkinson's disease who suffer from freezing episodes are more likely to have impaired balance than those who do not. This is an important discovery as Parkinson's disease typically develops in elderly patients, who cannot afford to be unstable, lose balance and potentially fall, which could result in major injuries. Titan Pharmaceuticals, Inc. today announced that the National Institutes of Health has awarded the company a grant under the Small Business Innovation Research program supporting the development of a long-term, non-fluctuating dopamine agonist treatment for Parkinson's disease. The first year award in the amount of $300,000 will be available to Titan starting August 1, 2010, and an additional $195,000 for the second year starting August 1, 2011 has been recommended subject to availability of funds and satisfactory progress of the project. 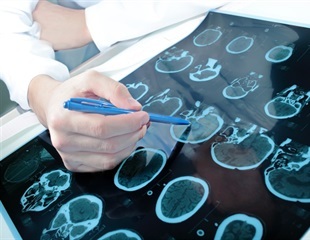 The grant will be administered by the National Institute of Neurological Disorders and Stroke. Scientists are beginning to find out why people with Parkinson's disease often feel socially awkward. Parkinson's patients find it harder to recognize expressions of emotion in other people's faces and voices, report two studies published by the American Psychological Association. Researchers have long puzzled over the apparently multiple causes of complex developmental disorders such as schizophrenia. Individuals seem to be predisposed to the disease by a tragic, mysterious combination of genetics, prenatal trauma, viral infection, and early experience. Britannia Pharmaceuticals Limited announced today that U.S.-based Bertek Pharmaceuticals Inc., the branded subsidiary of Mylan Laboratories Inc has received approval from the Food and Drug Administration for APOKYN (apomorphine hydrochloride injection). The FDA approval clears the way for Bertek to market APOKYN and provides a new therapy for “off” episodes, one of the most debilitating aspects suffered by patients with Parkinson’s disease. FDA has approved Apokyn (apomorphine) as an injectable drug for treating Parkinson's patients during episodes of "hypomobility," so-called "off periods" in which the patient becomes immobile or unable to perform activities of daily living.